Earn up to 4,725 reward points. Quality build, solid warranty, and set up to play. A used or extraordinarily cheap instrument can actually lessen your child’s likelihood of continuing in music. With the Allora Student series, you get a quality instrument that will play in tune, withstand student treatment, and inspire pride of ownership. Allora instruments are carefully manufactured according to specifications and development accumulated over many years by our team of brass and woodwind buyers. 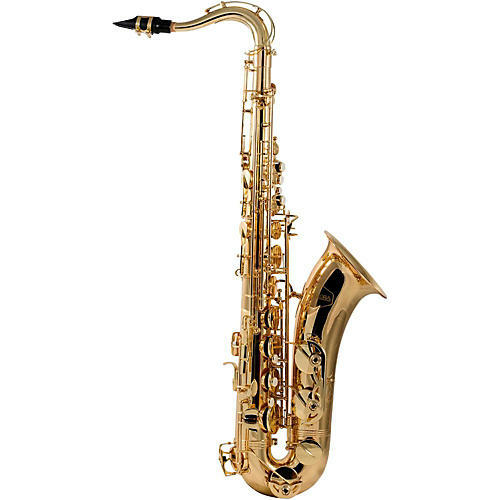 The result is a line of instruments that play well, are durable, and possess a satisfying tone and dynamics capability, all with a price that makes it much easier to get involved with music. The Allora ATS-250 has a gold lacquered yellow brass body and bell, a gold lacquered yellow brass neck, nickel-plated keys, adjustable thumb rest and teardrop front F and G# articulation arms. It features post to body construction, Pisoni pads and upper and lower stack adjustment screws, and comes with an upgraded nylon polyfoam case and three-year warranty. Start your journey in music with the Allora Student series. Order today.